The IVC Filter attorneys of McSweeney / Langevin are representing individuals who have been harmed by any Cook Medical IVC filter product. These devices are commonly used to prevent pulmonary embolism. If you or a loved one has been injured because of a Cook Medical IVC filter, give us a call for a free legal consultation. We can help. IVC filters have been on the market since the late 1960’s, but a new technological development, the retrievable filter, has made their popularity skyrocket. For example, 49,000 IVC filters were implanted in 1999. By 2008, that number had grown to 140,000 and by 2012 it was estimated to be 259,000 implantations. Retrievable filters allow physicians to remove the IVC filter once the threat of embolism has passed. 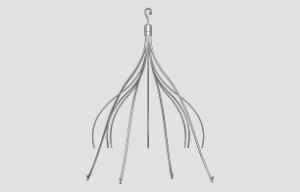 The first Cook Medical IVC filter, the Gunther Tulip, was released in 2000. It was initially used as a permanent filter, but in 2003 the FDA approved the Gunther Tulip for retrievable use. In 2007, Cook released a new filter called Celect. The Celect filter received FDA approval for retrievable use in 2008. A study performed by William Nicholson, M.D. and researchers at York Hospital in Pennsylvania look at the safety of retrievable IVC filters.The study found that between 12% and 16% of filters had fractured.Of these fractured pieces, nearly three-quarters had traveled to the heart where they were capable of causing serious side effects including rapid heartbeat, fluid buildup, and sudden death. Many lawsuits have already been filed because of the harm caused by Cook Medical IVC filters. These suits have recently been assigned to a multi-district litigation for the pre-trial process. If you or a loved one has been harmed by a Cook IVC filter, now is the time to act to make sure that you get the compensation you deserve. Give us a call. We can help.